"I'm looking forward to it so much that I'm walking around in a bit of a daze these days. It's going to be epic!" The General Manager of the Træna Festival, Jim Berg Martiniussen, is out of breath over the phone. It's just hours until Træna will again be the site of one of Norway's most renowned music festivals. Therefore, the pace is hectic as he buzzes from place to place. "It is a very special festival we are working on now", he says. "This is the year's highlight for many of the participants, volunteers and local residents on the island." In 2017, it has been 14 years since the festival first took root on the small archipelago 33 nautical miles west of Sandnessjøen, and it has since grown and developed into one of the most unforgettable events on Europe's festival program. Here it goes again, and up to 3,000 visitors from near and far arrive in boats from ports around the Helgeland Coast. But, what actually happens when a small and otherwise quiet Island sextuples its population in less than 24 hours? "Everyone becomes a part of it, whether they want to or not," says Martiniussen. "Fortunately for us, it's something everyone wants to be in on". In a resident population of 467 people, there are few industries or individuals on the island that are not affected. "Whether you own a tavern, operate sea transport or just make your lawn available as a place where participants can set up tents", explains Martiniussen, "you're drawn into what he calls the 'mode' on Træna." "It is a special feeling of working together," he says. "Every year I hear cheery stories about festival participants who knock on someone's door in hope of taking a shower or changing clothes, and receiving a warm welcome. For many visitors, the pleasant mood and openness among the locals up here comes as a big surprise". This year's list of performers at Træna is based heavily on the music scene from Bergen, and includes old acquaintances for the festival such as Aurora and Julie Bergan. But alongside a star-studded stage and extra focus on the local food culture, there is one X factor that keeps drawing participants back year after year. "The nature here is probably the biggest attraction for," says Martiniussen. "It's difficult to imagine that we would've had the same degree of success in a "regular" concert venue on the mainland. The scenery are undoubtedly a large part of what gets participants and performers in the 'mode'. You get completely blown away by all the wild and beautiful nature. In addition, I think people feel rewarded in a very special way once they get here. It's not a simple festival to get to. But, it's a journey that is worth all the effort, even when the weather is not cooperating." Wind and weather are always difficult to predict on the island of Træna. The long term forecast currently seems uncertain, but the festival boss is unconcerned. "While dark clouds may put a damper on 'ordinary' festivals elsewhere in the ", he says, "rougher weather conditions on Træna somehow only reinforce the feeling of being in raw and untouched nature". "Also, we're lucky with our participants», he says. "It doesn't matter whether it's sunny with blue skies or pouring down rain. The people who come here are equipped with both all-weather jackets and bikinis". If you do a search for Europe's most beautiful festivals, Træna, of course, is on the list, but it is not unique in combining breathtaking scenery and culture. 1,000 km to the south, at the border of mighty Jotunheimen National Park, Maritha Bjørnbeth is getting ready for this year's Mountain Film Festival (Fjellfilmfestival). 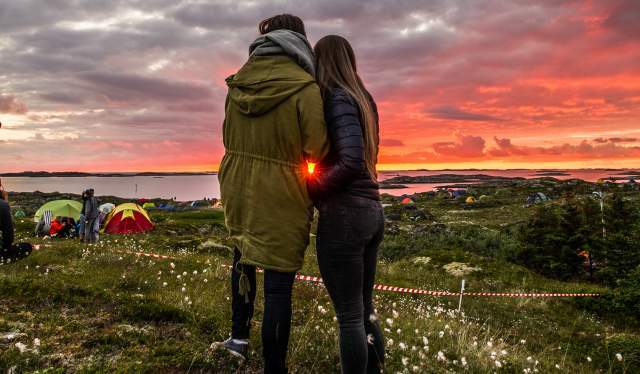 From 8-10 September, 1,000 participants gather here at Gjendesheim to go hiking, hear lectures, dance at the "Parka-Disco" and of course - watch films. "We reach a segment which no one else in Norway covers," says Maritha. "We offer spectacular hiking activities and nature-based experiences during the day, before relaxing with a beer and good films in the evening." 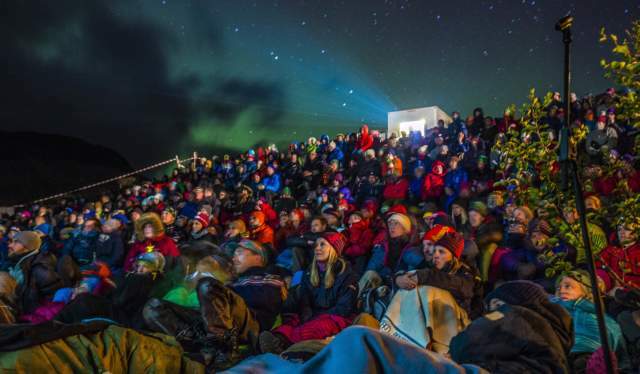 Like Træna, it is nature that plays a key role for the Mountain Film Festival. "We rely on giving the participants an experience you can't get within four walls. Watching films in an outdoor setting under the open sky cannot be compared with a closed-in movie theatre. When dusk falls out here and the screen lights up, the mood is absolutely magical", she says. This mix of culture and nature can be experienced in many places in "Summer Norway". 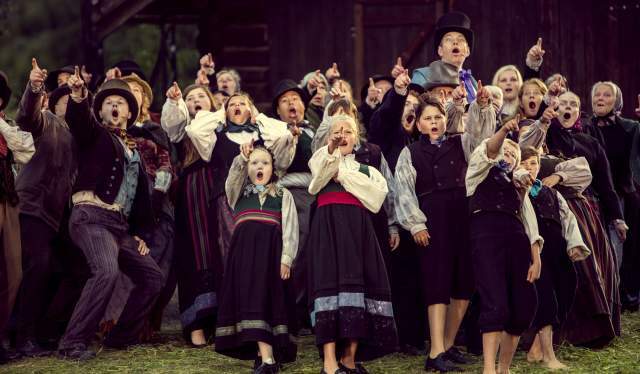 Options range from Wooden Boat Festival in Risør to the Viking Festival at Lofotr Museum and to the Peer Gynt Festival's 150th anniversary at Gålå, where father and son Nils Ole and Jacob Oftebro will be performing on the same stage for the first time. Maritha Bjørnbeth believes such celebrations have an obvious place amid Norwegian nature. "There is a large and untapped potential for such events in the Norwegian landscape", she says. "It's a great feeling to be able to show people the cultural history and natural treasures which are lying right outside their doorsteps." Repeatedly voted one of Europe&apos;s best and most distinctive music festivals, situated 33 nautical miles out to sea. The festival is not only known for a solid concert program, but also for its focus on local foods. Unique festival in Norway that celebrates film, situated in nature. Receives up to 1,000 participants at Gjendesheim each year. The program during the day has a focus on hiking and nature experiences, while films are shown outdoors in the evenings with mighty Jotunheimen and Besseggen as a backdrop. 150 years have passed since the first Peer Gynt Festival was held; an event that will be accentuated by a new ensemble, director and creative team. Father and son, Nils Ole and Jacob Oftebro, will be on the same stage for the first time, with both playing Peer in natural surroundings at Gålå. Over 90 percent of the tickets are already sold. Few places in Norway is the Viking Age more alive than at Lofotr Viking museum on Vestvågøy. In mid-August, children and adults gather to experience it all by dressing up and learning about Norway&apos;s rich and varied medieval history. At the festival, you can experience music, markets, storytelling, role-playing, tours with the Viking ships and more - all amid beautiful and historical nature. A 3-day tribute to maritime history and Norwegian coastal culture along the docks of Risør. There are a variety of exciting activities on the program - including rowing and sailing regattas, a wide range of lectures and the children&apos;s wooden boat festival. Melbu&apos;s annual cultural festival is known as one of the Northern Norway&apos;s most exciting and varied events. Here, visitors can enjoy 10 full days of art, music, seminars and activities. 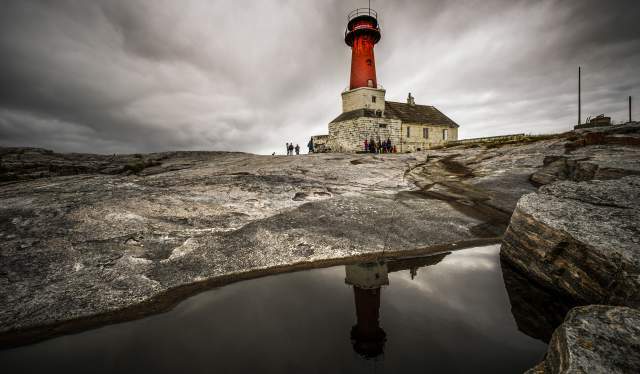 An annual tribute to the Venetian sailors who were stranded on Røst in 1432. 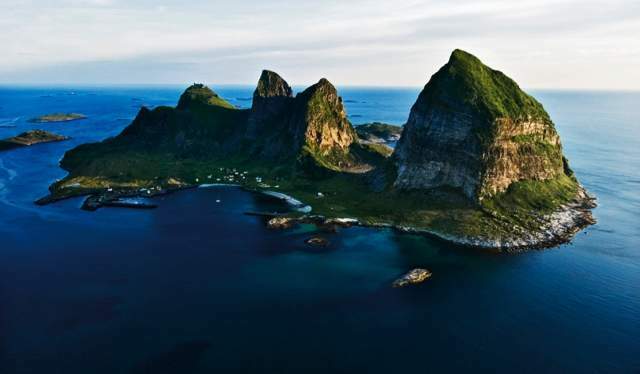 Opera and dried fish on a small island outermost in Lofoten? Yes, thank you! Annual art fair and exhibition at the historic herring wharf in Rakvåg, a gem on the Trøndelag Coast. Bukta - The Bay - also known as the Tromsø Open Air Festival - is 2 days of star-studded concert performances south of Tromsø city centre. This year&apos;s highlights include Alice Cooper, Highasakite, Converge and Stein Torleif Bjella. Fagernes is the place where Rakfisk (i.e. salted and fermented fish) enthusiasts gather to party and celebrate this traditional Norwegian dish, surrounded by the beautiful landscape of Valdres.